A store in Offaly has beaten 1,116 others across Ireland and the UK to win the Domino’s ‘Number 1 Customer Champion’ award. The store, located at Main Street, Tullamore, which opened in 2004 came away with the accolade at the annual Domino’s Rally in Liverpool this year. Domino’s is committed to helping people develop the lifelong skills needed to lead a team, with 80 per cent of managers starting life as delivery drivers or pizza makers. Its leadership programme, TeamSkills is designed to help people with the training they need to become a great leader. 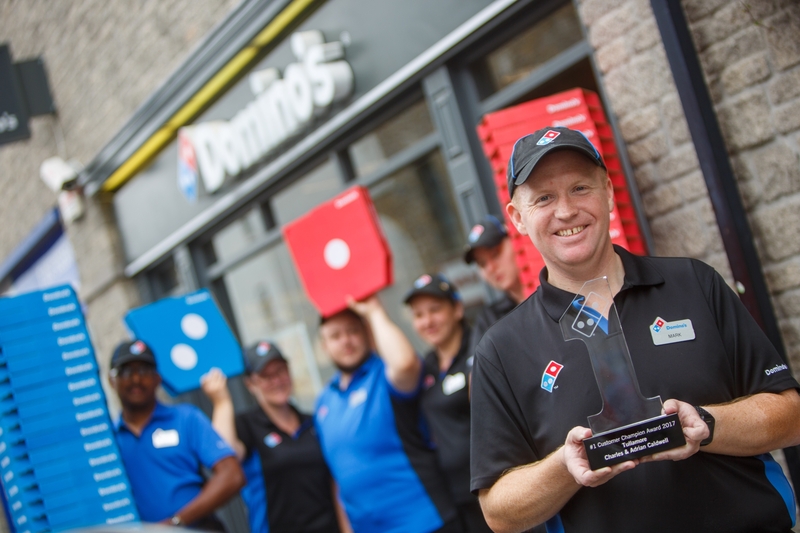 The Domino's annual awards recognise the hard work of both the franchisees and in-store teams from the company's 1,116 stores in Ireland and the UK.